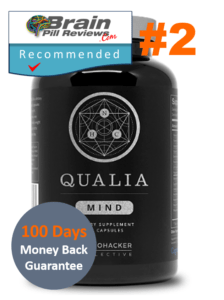 Vaxa Memorin Review-Is Homeopathy the Way to Go? 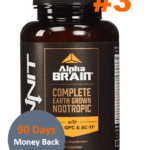 While we think that it’s great how more and more people are beginning to gain interest in 100% herbal, all-natural formulas, we’d like to point out that there’s a good and bad to everything. Herbal extracts, particularly ones used in homeopathy medicine, have been used for centuries to treat and cure a variety of health problems. The bad side to them is that there is little to no scientific proof that they work. This means that there is no guarantee that the product will work and there have been no trials to prove the long-term safety of the substance. However, a lot of people do find luck with homeopathy medicine and are life-long supports of all-natural products. 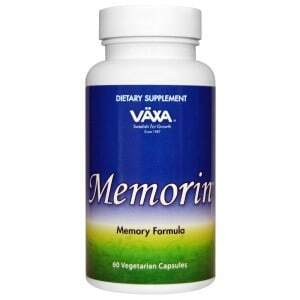 Vaxa Memorin is a homeopathic supplement that aims to support and improve memory. Let’s see if it can compete against all the great memory boosters we’ve already come across. Each Vaxa Memorin capsule contains the following ingredients: Avena sativa, Agnus castus, Anacardium, Zincum metallicum’ Stramonium, Phosphorus acidum, Kali Phosphoricum, Phosphorus, Ferrum phosphoricum, and Magnesia phosphorica in a base of: Phosphatidylethanolamine, Phosphatidylcholine, DMAE, Lycopodium Clavatum, Ginkgo biloba, L-Glutamine, L-Glutamic Acid, green tea extract, Trifolium pratense, Phosphatidylinositol, Riboflavin (Vitamin B2), Pantothenic acid (Vitamin B5), Thiamine (Vitamin B1), Niacinamide (Vitamin B3), Pyridoxine HCL (Vitamin B6), Sodium chloride, GABA, Magnesium gluconate, Phosphatidylserine, Methionine-bound Zinc, Cobalamin (Vitamin B12), vegetable capsules (cellulose ethers), rice Flour, and dextrose. The most important ones (in our opinion) are green tea extract, avena sativa, ginkgo biloba, and DMAE. Green tea extract contains both caffeine and L-Theanine, making it the perfect substance to release energy in a smooth and gradual manner. 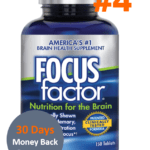 Meanwhile, many have reported that ginkgo biloba can increase focus for longer periods of time. 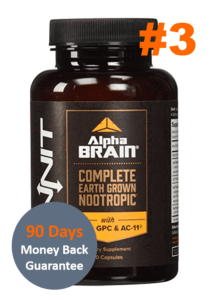 Although there is no real evidence to support this claim, ginkgo is thought to work by increasing blood flow to all areas of the body, including the brain. To your surprise, avena sativa is actually the scientific term for oats. Oats can help control blood sugar levels and is oftentimes used to reduce fatigue. We’re not sure why it was necessary to put avena sativa in a memory-blend (just another filler? ), but perhaps the homeopathy doctors know better. Lastly, DMAE is a substance that has been banned in the U.S., Canada and Australia because it has been linked to cell death when used for long periods of time. 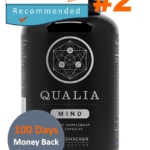 “We have used the product for a few months and the jury is still out. I has a little effect so far but not much. Each bottle of Vaxa Memorin contains 60 capsules and costs only $21.13 on Amazon.com. 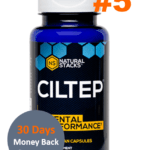 The serving size is 2 capsules per day so you will have product for the entire product. After searching thoroughly through hundreds of customer reviews, we’ve noticed a distinct 60/40 split between people. 60% seem to think that the product is not strong enough and does not bring significant results while 40% are in love with the product and can’t wait to purchase more. It’s difficult for us to judge whether or not a product is worth buying, particularly when the ingredients have no clinical trial data to back up their effectiveness. Since the cost of the product is quite cheap. We don’t think you should hold back from getting yourself a bottle. 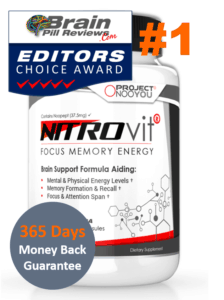 Please note, however, that there are much better and more effective cognitive enhancing supplements available that are only a tad bit more expensive. 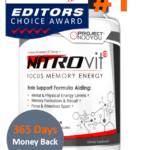 Check out our editors’ top choices to learn more!